Please note all distribution and sales are handled by AgriLabs Ltd. Please see below details for pricing and to find your closest dealer. *Please note prices may vary from dealer to dealer; and catalog dealer pricing may also add or include shipping. 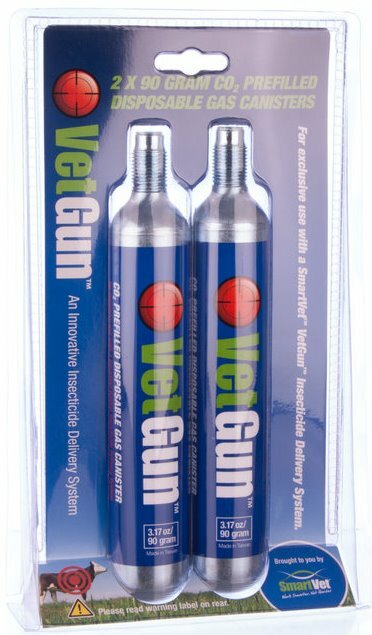 VetGun kits include VetGun and CO² adaptors only (25g & 90g)- earlier version VetGuns don't include 25g adaptor, please call number below. 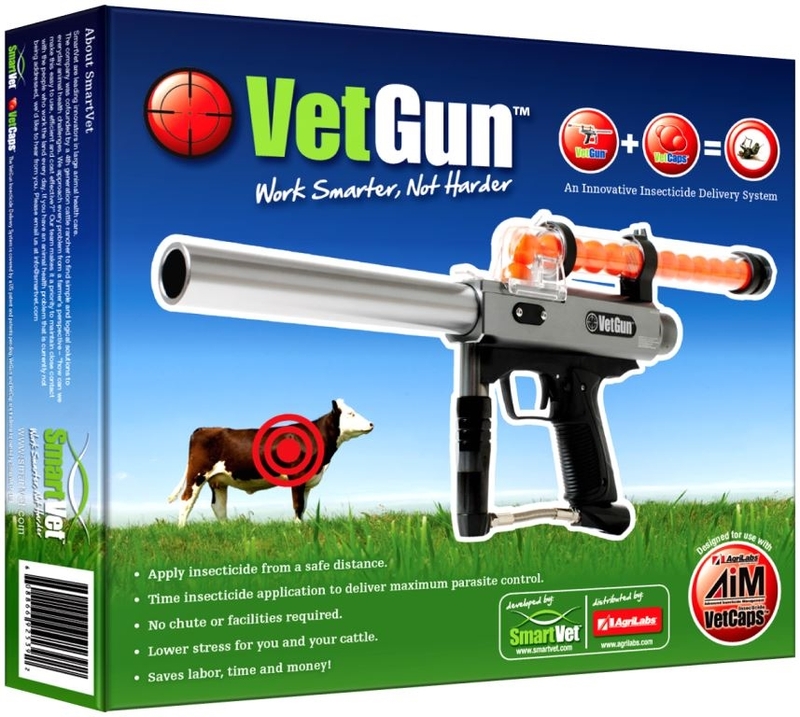 CO² is not included in VetGun kit, must be purchased separately. Redeem voucher by sending to AgriLabs per voucher instructions. Promotion ends Sept 30. Voucher must be redeemed by Oct 16, 2018. 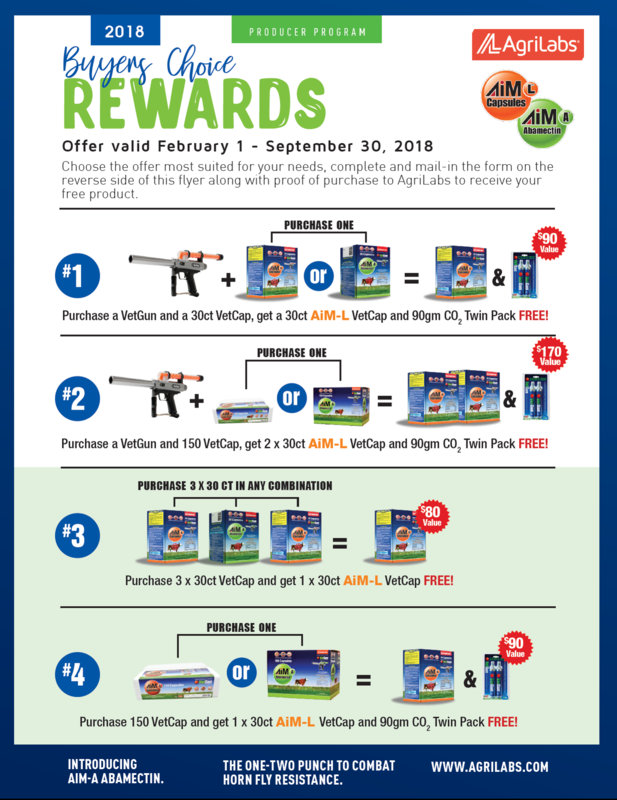 Click 2018 Buyers Choice Rewards Program for more info and application form. Find a Dealer: click here or call below number. Find an Online Catalog Dealer: click here or call below number. 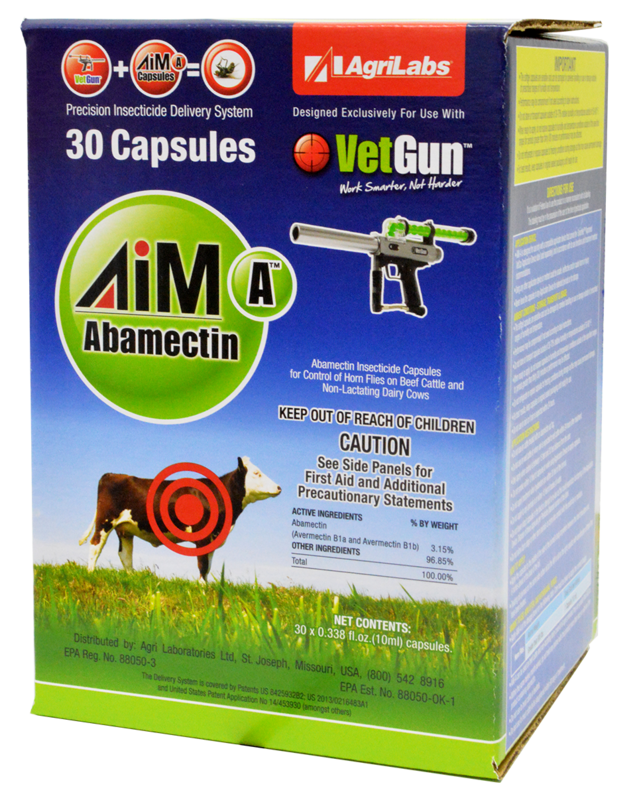 VetGun or AiM-L VetCaps: please call Customer Service at 800-542-8916 / 816-233-9533 or click here.